Sales activity continues to be higher than last year. June finished with a 19% increase of sold properties over June 2011. Properties going under contract are still on the rise as well. Typically the summer months see a bit of a slow-down in activity, which we have, yet still maintained the increase. I suspect the Fall Market will be very strong indeed. Pricing seems to be stabilizing. Some towns are still declining while others are holding steady. For specific information on your location send me an email and I’ll get you a report. The study on erosion in Duck is underway and the results of Phase I of this study will be presented to the public on August 15th at 1 pm. For more information click here. There is no new news on the Mid-Currituck Bridge. We’re not expecting any updates until the end of this quarter. As you can tell, I have a brand new website launched! 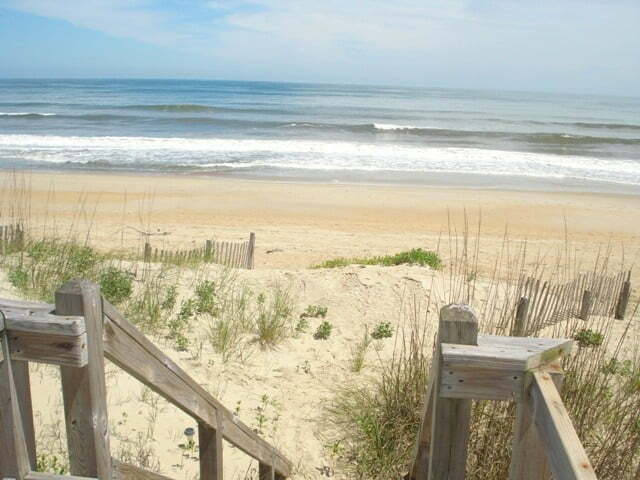 This site is very user friendly and should provide you with all the searching tools needed to find out what’s for sale on the Outer Banks. I encourage you to check it out and take a look at my blog. If you haven’t done so already – follow me on Facebook, Twitter & / or Linkedin! Doing a short sale in North Carolina is about to change. The NC Association of Realtors recently made several revisions to the Short Sale Addendum. For a quick video on the most impactful changes click here. That’s all for this month. As always if I can answer your real estate questions please contact me!